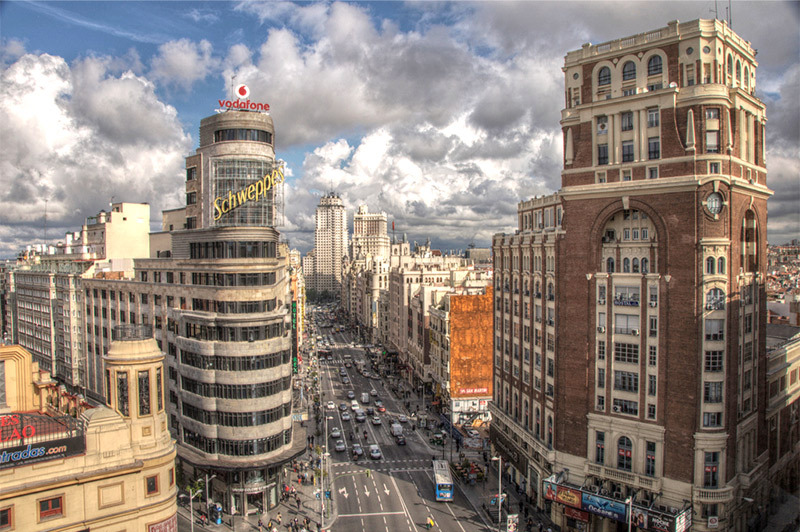 Madrid is the capital of Spain, and is home to the Spanish Royal family as well as the Spanish Government. It is a modern metropolitan city and an economical and industrial center of Spain, and, with its population of nearly 3,5 million people, is also the biggest city in Spain. It is located in the centre of the Iberian Peninsula, and is surrounded by mountains and natural parks. Although it is located in the centre of the country, it has traditionally been the hub between different areas of Spain and is therefore connected to all major Spanish cities by train, road or air. 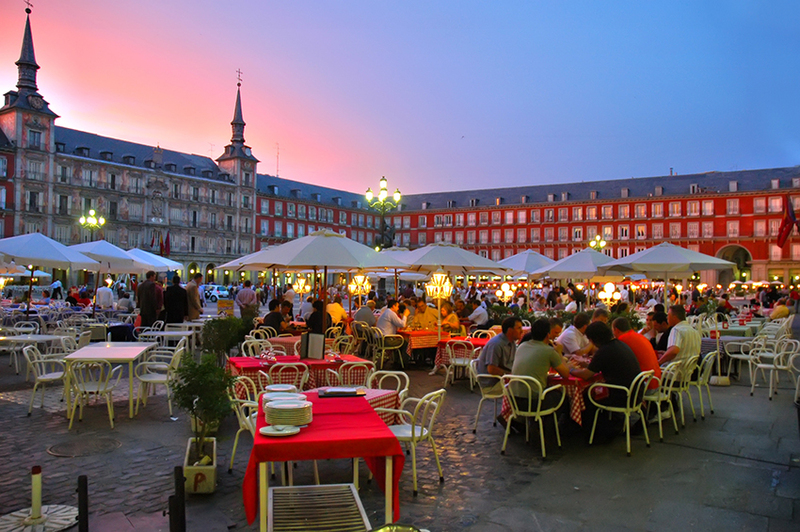 Madrid has a lot of interesting attractions that offer both culture and amusement. The city is full of great monuments, like the royal palace, the Plaza Mayor or the many statuettes, and for people interested in art, the museums Del Prado, Reina Sofia or Thyssen have some of the most fantastic collections of famous Spanish painters like Velazquez, Goya, Picasso or Miro. If you like to be entertained, Madrid has two big amusements parks (including the new Warner Bros park) and there are regular international concerts, big flea markets, parades and other activities going on. To sport enthusiasts Madrid can offer everything from skiing (only 1 hour away by bus) during the winter, to golf all year round, as well as international sporting events and the possibility to practice nearly any sport at the University facilities. If you like going out at night, Madrid has a very interesting nightlife throughout the whole week and which is available all year round. You can either go out for a tapa (Spanish snack), eat at a very nice restaurant, go to the cinema or one of the many theatres, or find nearly any type of bar or disco.